In my formative years my attention was easily captured by loud, on-air television and radio personalities. If they had such platforms they must be the smartest people in their profession right? After I made countless billions of dollars following Jim Cramer’s shenanigans on “Mad Money”, I then sought out personal financial advice beyond investing. I changed the radio dial and found Dave Ramsey with his strong voice and superior attitude, plus he was rich so he must know the best way to manage money. After further examination, I found many flaws in the Dame Ramsey logic and philosophy. But he wrote a book, so he has to know the best way, right? What do I know though, he has way more money than me. I recommended my brother get a reward credit card with a lucrative signing bonus for spending rather than a debit card. His question to me was, “Doesn’t Dave Ramsey say that people shouldn’t have a credit card and use cash or a debit card?” I asked him to explain the difference between spending money on a credit card and paying it off every month and spending it on a debit card. The only thing I know for certain is that the math that I use to make financial decisions must be different from the math used by the financial guru. Budgeting can be as easy or as difficult as you want to make it. You can break down every dollar spent for every category (Clothing Budget) including allocating expenses into subcategories (Cut-off Jean Shorts). Most importantly to climb out of debt is to maximize the difference between income and expenses. This means cutting out any luxury expenses. Certainly Dave Ramsey demonizes many of the luxury expenses that I agree with cutting out. However, he still advocates a 10% tithe to church and charitable donations (versus 5% for utilities). Giving to charity is luxury afforded those who have met all other obligations. If you are in debt and cannot adequately provide for your family then you should not be considering trying to support others. I understand that giving money to charity is nice, but it is also a luxury. This is one of those luxuries that does not seem luxurious, it just seems like the right thing to do. However, if you are focusing on climbing out of debt your money could be put to better use. Let’s assume that you make $48,000 a year and give $400 a month to church, that amounts to $4,800 a year. Let’s assume you owe $10,000 on a credit card paying 12% interest, if you are currently trying to pay off the loan in 3 years you will pay $1,859 in interest over the 3 years. Instead you could spend the extra $400 a month paying off the credit card and you would save $1,089 in interest ($1,857 vs. $768), and pay off the credit card 1.7 years sooner than under your current schedule (3 years vs. 1.2 years). If you’re still set on giving the 10% away make an IOU and keep track of all the charity you did not give. As you can afford it, you can increase the charitable donations. This also has tax implications as well since it would be better for most tax filers to donate to charity in a lump sum. Dave loves to talk about how bad credit cards are for consumers, but goes out of his way to point out good deals. I absolutely agree that using a credit card to accrue tons of debt at 15% interest is a ridiculous notion. However, banks also have enticing bonus offers. Such as the Chase Slate card which offers a 0% introductory balance transfer for 15 months. Using the same scenario as above you could apply for the card, transfer $10,000 to the Chase Slate card and pay $0 in interest plus if you paid $729 per month you would have your loan paid off sooner. Although I have heard him say that he can allow a 0% balance transfer he needs to be telling everyone to reduce their interest rates immediately. The first time I really questioned his advice was when I was buying a computer in college. Best Buy was offering a 3 years interest free financing offer. I needed a computer and was going to spend $1,500 on the computer I wanted with cash or credit. I had the cash in the bank accruing interest (higher interest rates than now) so I decided to finance the purchase. I paid it off $50 a month and paid it off ahead of time. Never did I miss one payment, nor did the credit card companies lose my payments or force me to spend more. I still had the cash available to earn interest and spend as needed. Over the past few years I have used my Discover card and a gas, grocery and drugstore reward card to earn cashback on almost every purchase. I earned 5% cashback in specific categories, but never did I overspend to earn money. However, I did earn a few hundred dollars extra on money I was going to spend anyway. Sure, it has not helped me retire early, but it did allow me to have a few hundred dollars extra to spend on my family. More recently I have captured signing bonuses of $400, 50,000 airline points ($833 worth of airfares) and other offers from credit cards just for signing up and spending money as I normally would. Studies may suggest that people spend more with credit cards, (as Mr. Ramsey loves to point out) but this really throws personal responsibility out the window. If you are responsible and pay off your credit card every month you actually benefit quite greatly from a credit card. Dave likes to say that he does not know any millionaires who got rich from credit card rewards, but that is hardly the point. To me, these reward bonuses are extra unearned income. I can take a trip using these airline points which will provide richer experiences for my family to share. Otherwise we may have not been able to afford to fly for a vacation, even on Southwest. Millionaires never worry about things like this because they can just buy their own plane tickets (or plane if they have enough millions). For those people listening to Dave Ramsey to pull themselves out of debt he advocates the “Debt Snowball” whereby the individual pays down the smallest debt most aggressively. The theory is that as you pay off debt you can have a small moral victory. From a psychological vantage point this makes a modicum of sense, but from a mathematical and fiscal sense this seems absolutely illogical. Let’s imagine that someone has debts of $5,000 at 0% interest $8,000 at 3% interest and $10,000 at 12% interest. Mr. Ramsey would suggest paying the minimum balance on the $8,000 and $10,000 debts then pay the rest toward the $5,000 debt. Unless the 0% interest rate is about to expire and reverting to a higher rate there is no reason to be paying this amount at all. If you pay down the higher interest rates you will save money over the long-term. If you are paying off $500 a month over the 10 months it takes you to pay off the $5,000 debt your other debts will have accrued over $1,000 worth of interest. I feel like Dave Ramsey has spent so much time being a part of the rich and elite that he does not value an extra $1,000. Whether it’s from money saved on interest rates or rewards earned through the purchases you are already going to make Mr. Ramsey finds these methods undesirable. I am not against the profit motive, but I do think that picking the targets of profit attainment is something else entirely. Dave’s core audience seems to be people who do not need to spend a dime on incremental expenses. These people usually need to even cut their fixed expenses. Yet, Mr. Ramsey seems to be more than ready to constantly recommend to his adherents that they purchase his books or come to his conferences. As an accountant I always loved making budgets, especially creating them for individuals is fun. The problem with this is that a Catch-22 situation is created. Most people who need a budget cannot afford to pay for a budget and most people who can pay you are pretty good with money and can set up their own financial policy. I absolutely love to shop at Amazon.com (this is an unpaid shout out). We are Amazon Prime subscribers and also own a Kindle Fire HD. I continue to be amazed at the fact that I can order something in the afternoon and it is at my doorstep the next day (for $3.99). The other thing I love about Amazon is that they always have low prices, the only problem with this is that they do not participate in cashback portal programs (Join TopCashBack.com) or offer coupons for large percentages off your total purchases. Even without these money saving advantages I am working on getting 6% off my Amazon purchases at minimal. This strategy does not only work on Amazon, but can be used successfully for most regular purchases. Dave Ramsey certainly will not appreciate what I have to say, but that’s just the chance I’ll have to take. My Blue Cash Preferred AMEX card gets me 6% cashback on all grocery purchases throughout the year (First $6,000). This cashback amount is in addition to the fantastic $250 signing bonus. Therefore, I can walk into my local Kroger, buy a $100 Amazon gift card and I will get $6 credited to my card. This is a fantastic deal as it is, but it is made even better by the fact that my local Kroger also has a daily offer of 2X gas rewards on all gift card purchases. Therefore, my $100 gift card gets me $6 cashback and 200 gas points! Fuel reward points are good for .10 off per gallon of gas for every hundred points. Currently, the offer is even juicier! Last month I went into Kroger and they were offering 4X fuel reward points on the purchase of a gift card! So here’s what I did. 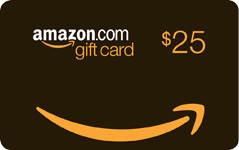 Knowing that we buy from Amazon.com constantly I purchased a $250 gift card and paid with my AMEX which earns 6% cashback on grocery store purchases for a total of $15 cashback. This purchase also earned me 1,000 gas points (250 x 4) which are good for $1.00 off per gallon of gas (up to 35 gallons). Since we buy gas no matter what, this is a real savings! We will maximize this savings on all 35 gallons of fuel. So the $250 gift card – $15 cashback – $35 fuel savings basically makes the $250 gift card $200! This 4X point deal is available until the end of March and the actual points earned can be used through the end of April. To further increase savings I will use my 5% cashback gas reward card when paying for the gas. I do not figure this savings into my actual savings because I would use this card regardless.